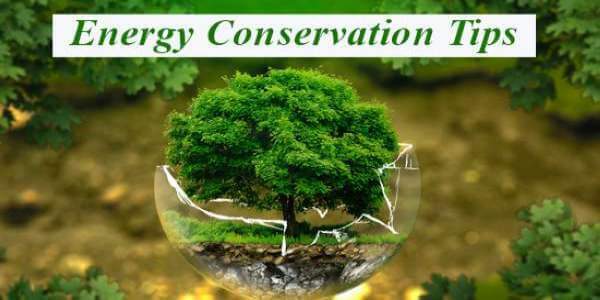 Energy conservation may be the best solution to fight with the energy problems we are facing today. It will also help to minimize the environmental issues arise due to power plants operating on non renewable energy sources. Before diving deep into the topic energy conservation and its proven ways, you should have to know about the term “Energy”. So, I will like to share some information on Energy with you. Energy is defined as the ability or the capacity to do work. There are two types of energy, one is Potential Energy and another is Kinetic energy. These two categories are sufficient to describe all forms of energy. A Potential Energy is that energy which is stored in the object. A stationary object in a gravitational field, or a stationary charged particle in an electric field, has potential energy. The Kinetic Energy is that energy which is observable as a motion of an object, particle, or set of particles. From an engineering point of view, energy comes in different forms such as heat energy or thermal energy, light or radiant energy, chemical energy, electrical energy, nuclear energy, and gravitational energy. All the energy sources can be divided into two groups; one is renewable energy sources and second is nonrenewable energy sources. An energy source that can be easily replenished is known as a renewable energy source. The examples of renewable energy source are solar energy, wind energy, tidal energy, hydroelectric energy etc. Nonrenewable energy sources cannot be easily replenished. Non-renewable energy sources we cannot produce at our self. The examples of non-renewable energy are coal, crude oil, natural gas etc. Renewable and nonrenewable energy sources can be used as primary energy sources to produce useful energy such as heat or used to produce secondary energy sources such as electricity. Ok, let’s move further to see proven ways to a better energy conservation. In simple, Energy conservation is a process used to reduce the quantity of energy that is used for different purposes. In general, energy conservation reduces the energy consumption hence it will also reduce the energy demand. Energy conservation process reduces the requirement of new power plants. So, the productions of greenhouse gases are also reduced. This way we can save our planet earth from dangerous effects of greenhouse gases. The reduced energy demand can provide more flexibility in choosing the most preferred methods of energy production. Energy conservation makes it easier to replace non-renewable resources with renewable energy. It is often the most economical solution to energy shortages. For better energy conservation the first thing can do is to save electricity. Put off the lights, fans, air conditioners or any other room heating and room cooling equipment when you are not at home. Open the windows and use daylight for reading. This will save your lot of electricity and reduce electricity bill also. Less use of electricity means saving electricity and reducing the requirement of more thermal power plants. 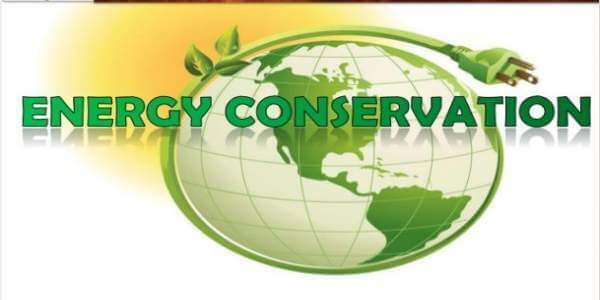 This way of energy conservation will also help in reducing the number of greenhouse gases. Traditional incandescent light bulbs consume an excessive amount of electricity and must be replaced with LED Bulbs. This is the best alternative to save energy. These energy saver bulbs use anywhere from 25-80% less electricity and last three to 25 times longer than traditional bulbs. Energy efficient bulbs are the clear winners in terms of their environmental and financial benefits. On an average, home appliances are responsible for 13% of your total household electricity use. So, it is better to use the appliances that use less power. When purchasing an energy efficient appliance, you should look for appliances with the ENERGY STAR label. Higher the energy starts mean less power consumption. For example, 5 energy star refrigerators use 9% less energy than your traditional refrigerator and 5 energy star air conditioner consume 13% less electricity. After washing your clothes in washing machine, avoid the dryer to dry out the clothes. Dryers have big motors to spin the clothes and heaters to help the drying process. This will increase the power consumption. There is plenty of solar energy available in India and around the world to dry out the wet items. If you dry out clothes outside you can normally no need of ironing them because the wind does the work for you. It is essential to take bath with hot water in winter or rainy season but not in summer. Make a habit of bathing with cold water whenever possible. Because the water heating is a major contributor to your total energy consumption. Purchasing energy efficient water heater is one option besides this you can reduce your water heating expenses by using less hot water and insulating your water heater for better energy conservation. An HVAC system is composed of heating, ventilation, and air conditioning equipment. A ventilation system is composed of a network of ducts, which distributes hot and cold air throughout your home. If these ducts are not properly sealed or insulated, the resulting energy wastes. So, maintain your HVAC System properly for better conservation of energy. Sealing and insulating your home is one of the best energy conservation methods you can adopt. A tightly sealed home can improve indoor heat and air quality while reducing electricity uses. The level of insulation you should install depends on the area of your house. Your attic, walls, floors, basement, and crawlspace are the five main areas where you should consider adding insulation. By installing a programmable thermostat, you eliminate wasteful energy use from heating and cooling without upgrading your HVAC system. A programmable thermostat can be set to automatically turn off or reduce heating and cooling during the times when you are asleep or away. A smart thermostat will indicate you for the replacement of air filters or HVAC system problems. Hence you can take proper action to save power. Advanced power strips or smart power strips eliminate the problem of phantom loads by shutting off the power to electronics equipment when they are not in use. It is estimated that 75% of the energy used to power household electronics is consumed when they are switched off. Using advanced power strips will reduce the energy consumption effectively. Defrost your fridge and freezer regularly so they will run more efficiently. Do not open fridge doors frequently. Food acts as insulation, so keeping your fridge and freezer stocked lessens the amount of time it has to run to stay cool. Do not open the oven door while cooking as it will cause the oven to use more energy. Fill the dishwasher before using. Use the economy setting if you have that option. All the above energy saving tips are useless if you don’t mind energy importance. You have to change your behaviours for day-to-day activities. The behaviour adjustments that have the highest potential for utility savings are turning down the heat on your thermostat in the winter and using your air conditioner less in the summer. Are you using any method listed here for better energy conservation? Which other methods do you adopt? Put your reply in the comment.